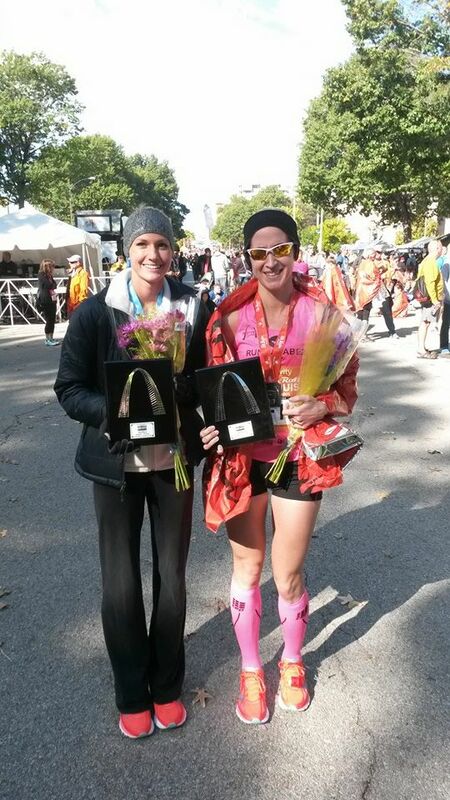 Lisa 2nd, Amy 4th overall in STL Rock & Roll Marathon! Amanda 2nd overall in Half Marathon! 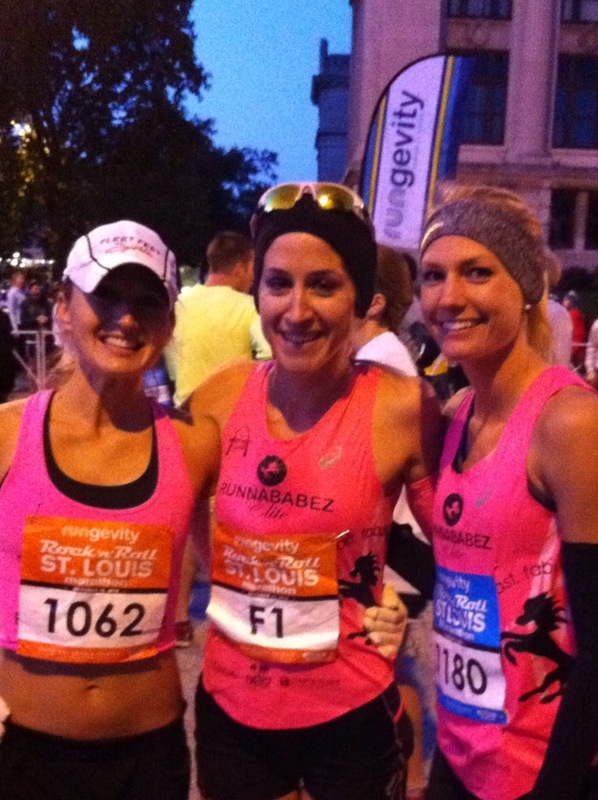 Runnababez Ravaged the St. Louis Marathon & Half Marathon this past weekend! The Runnababez had 3 team-mates compete in the weekend’s festivities. Amanda Albrecht got the party started with a bang as she completed the half marathon in a PR of 1:22.56, finishing as the 2nd overall woman! Lisa & Amy competed in the full marathon running miles through the hilly streets of downtown St. Louis, Grand Center, & South City all the way down to Carondelet park. Lisa Cary ran 3:08 for the marathon, PR’ing by 3 minutes, to finish 2nd woman overall! Amy Marxkors ran in a 3:12, right at her PR on a very hilly course, placing 4th woman overall! Both of them badgered a challenging tough course to the ground! ← Juli Stults PR’s Big in Chicago Marathon! & Cheryl claims the GO! Halloween Half Title!